After the adventures of the past week (El Chalten, El Calafate, Perito Moreno and Torres del Paine) we took a lay day before embarking on our next trip. 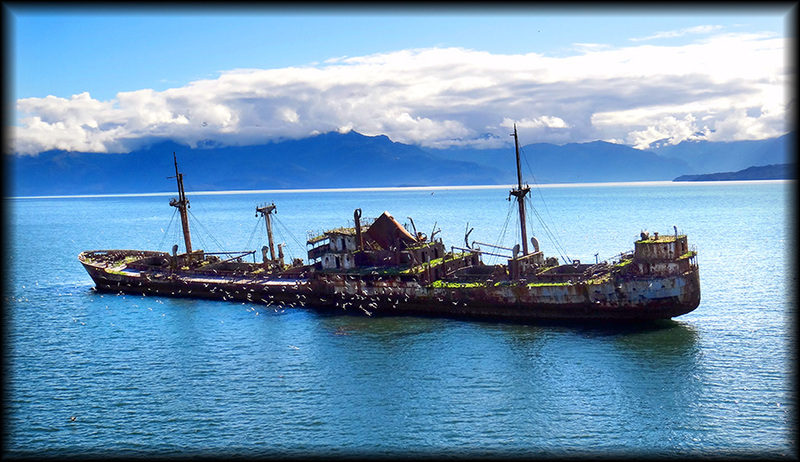 The only problem, it was in Puerto Natales and there isn’t a whole lot to do there. That being said we emerged from our dingy hostel to a rainy grey day which made the thought of no room to hang out in a bit daunting. But what can you do? So we left our luggage at the hostel and walked to the town center. Found a quaint little cafe and treated ourselves to a couple delicious cappuccino’s and sandwiches. 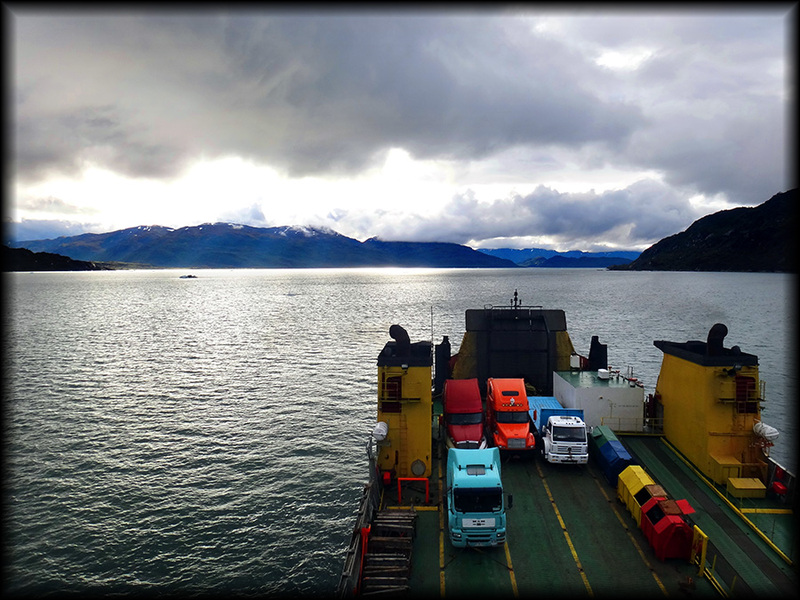 Eventually, the rain stopped, so we went back to the hostel grabbed our laundry and luggage and rolled them down to the Hotel Coast Australis where we were suppose to check in and drop our bags for our 4 day Navimag Evangelista Ferry through the fjords of Patagonia. We couldn’t board until 9pm that night, so we decided to sit in the park and buy some time. All sorts came through… a couple guys juggling, family after family enjoying an ice cream, and kids skateboarding over the steps. Eventually, I couldn’t hold the craving back and insisted we find one of those tasty ice creams. This just gave us a new people watching opportunity on the main street of town. Grubby locals taking a swig out of a bottle and then quickly hiding it inside a small trash can, packs of mangy dogs stiffing the streets, families and tourists window shopping, and kids throwing trash on the ground even though the rubbish bins were only another 5 feet away. 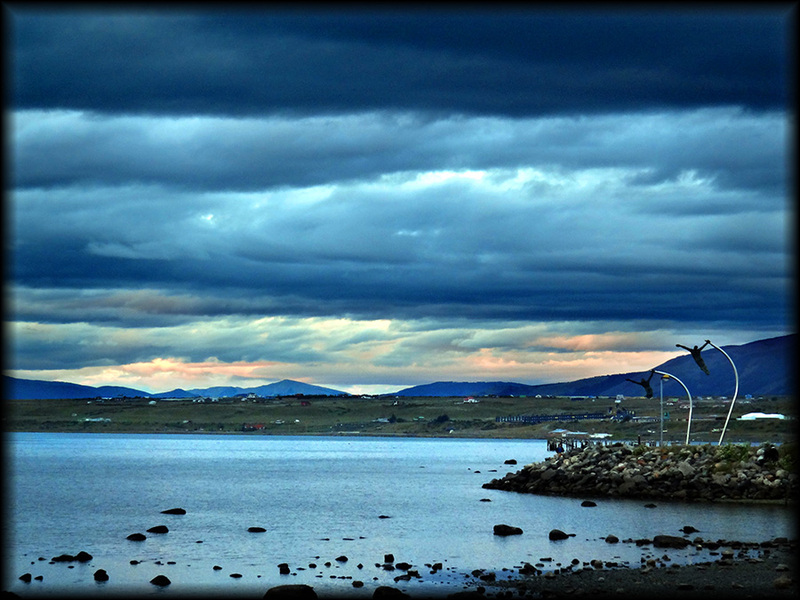 What a day in Puerto Natales! We headed back to the park to finish our afternoon nap and noticed a group of travelers across the park sharing a few beers and bottles of wine. 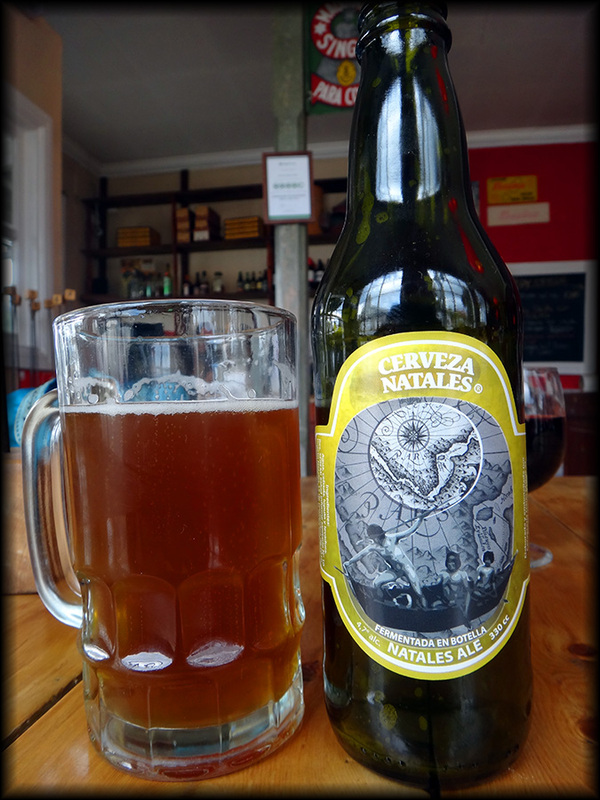 We were pretty sure you couldn’t drink in public in Chile, but perhaps we were wrong. Until of course, we saw a group of men in uniforms approach this unsuspecting group. We couldn’t hear what was being said, but watched as they all chucked their drinks in the garbage. Bummer! The best way to follow up an ice cream craving is to enjoy a delicious pizza for dinner. We had noticed that across the park there was a cute little place called La Mesita Grande that featured long family style tables and a counter lined with fresh ingredients. We took a seat, ordered a beer and a glass of malbec and tried our best to decipher what all the ingredients were in Spanish. We shared a fresh salad to start, a pasta and a tasty pizza as we welcomed new diners to squeeze in next to us. Languages from around the world filled this happening little venue. After dinner we walked over to the grocery store to stock up on beer, wine and snacks for our next adventure. When we got back to the Hotel Coast Australis at 9pm, a few young boys were just loading all the passengers luggage in the back of a small truck. A group of older Argentinian men on what appeared to be on a long motorcycle trip all rolled their hot wheels onto the sidewalk next to us. Two of them started yelling at each other as they came to a stop. Instantly, we were getting a sense for all the people we would be spending the next 4 days with. Abe and I paid $1,060 US (about 500,000 clp) for two bunk beds in a tiny 4 bed cabin with a window. The ferry offers multiple options from a bunk bed in a hallway to private rooms. We opted for the middle price range and couldn’t wait to see who our bunk mates would be. After having to listen to a welcome speech and waiting in the cold night air in front of the hotel, we eventually boarded the ferry around 11pm. The cabins were a bit of maze as the numbers were all over the place. Luckily, there were a few staff to direct you in the right direction. Our new cabin mates turned out to be a really nice French couple in their early 40’s. Since our luggage still hadn’t appeared in our rooms, we took our beers up to the bar area of the ship to unwind a bit. Abe instantly recognized the group from the park and struck up a conversation. From that moment on, all of us were inseparable. Our lovely new friends were Dave from Scotland, his girlfriend Ewa (pronounced Eva) (born in Poland), Aytam from Israel and Lawrence from Australia (teaching in Chile). Our first morning upon the Navimag was January 15th, 2013. We made it just in time for breakfast, which ends at 9am. A daily schedule is posted outside the mess hall describing our locations throughout the day and any planned activities (Bingo, etc.) or films. Now everything we read said the food upon the Navimag was less than impressive, so we were luckily prepared. Eating in a hospital cafeteria for 4 days would have been more appetizing. 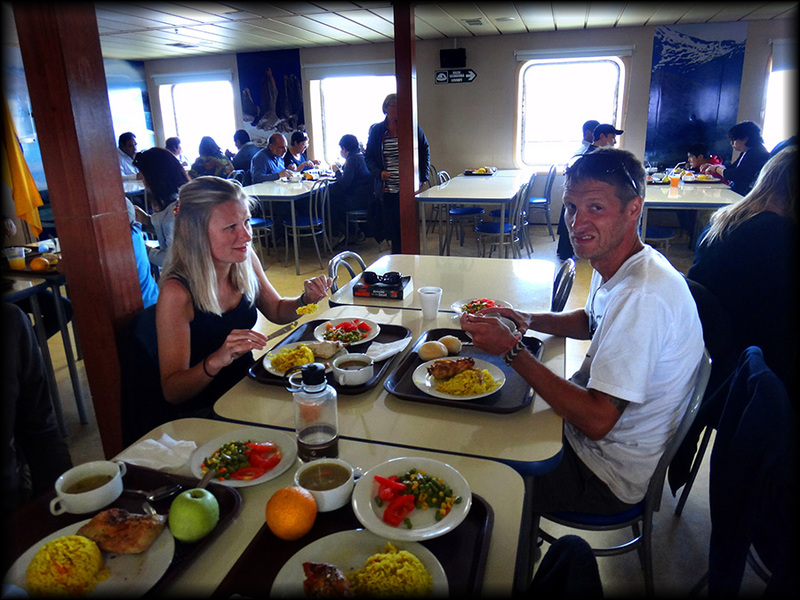 But we weren’t there to eat, we were there to see Patagonia by boat! The ferry itself was actually much nicer than I expected. The bar/lounge area had comfy leather chairs and couches and a large outside deck for your viewing or napping pleasure. We were even fortunate with mostly nice sunny weather. I had imagined the fjords to be endless glaciers, but we weaved in and out of channels through lush green hills and mountains. 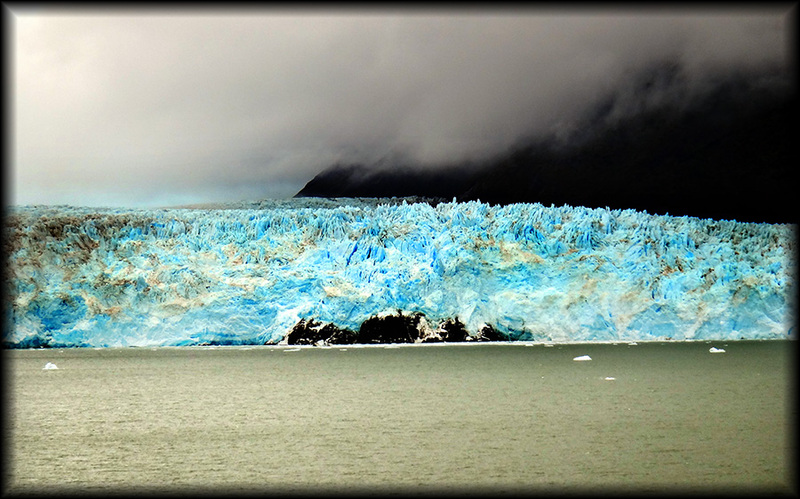 We saw one massive glacier along the way, which brought everyone out of the warmth to the very crisp cold air. After many photos and ooohhh and ahhhhs, we all retired back to the comfort of the lounge to continue our many games of gin rummy. Luckily, we had stocked up on bottles of red wine and were able to pour round after round for our new friends. We all need to keep warm, right? On the last night, they had a Karaoke contest/ dance party, which kept everyone up pretty late. By 8am the next morning, everyone was suppose to be off the ship. 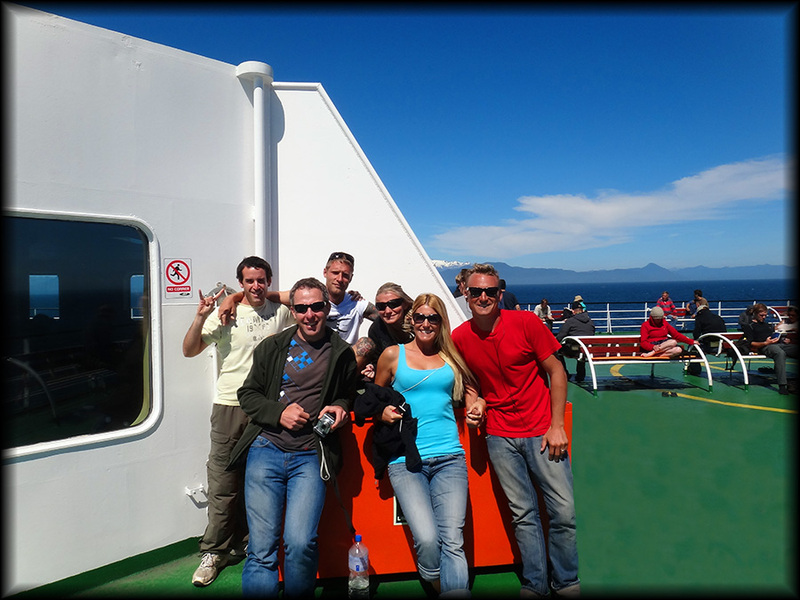 We slept in until about 8:15am, quickly got our stuff together and disembarked in Puerto Montt. We had come full circle on our Patagonia journey. Kindly, our friends were waiting for us in the Navimag office, so we all walked to the bus station together. We talked about all the fun we had over the last few days and what was next on our agendas. 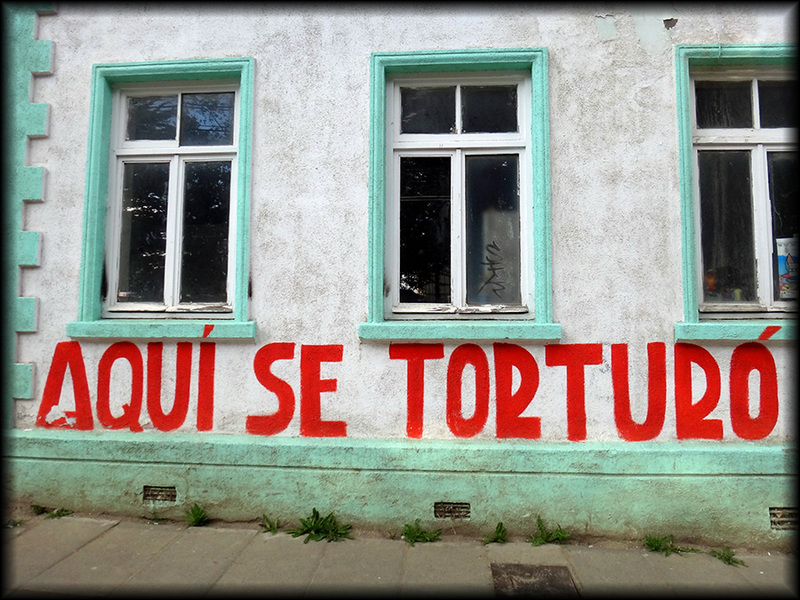 Aytam was staying the night in Puerto Montt and quickly headed off to his hostel for a nap. Dave and Ewa and Lawrence were all catching a bus that day to another nearby Lakes District town. Abe and I had another 12 hours until our bus departed for Picchilemu, just south of Santiago. So we dropped our luggage at the bus station kiosk and headed to our favorite breakfast spot with our new friends. After breakfast, we sadly said goodbye. Amazing how many tears can fall, even after only 4 days. Exhausted, Abe and I searched for a nice park to sleep in. The map showed a few nearby green patches, but they only turned out to be fenced in trees. So we settled for a little grassy spot near the ocean to catch up on our zzz’s, with our valuables closely tucked in between us. After feeling a little more rested we decided to walk down to the Angelmo Markets, which was suppose to be epic seafood. The market was filled with multiple restaurants with outdoor seating. It looked promising. 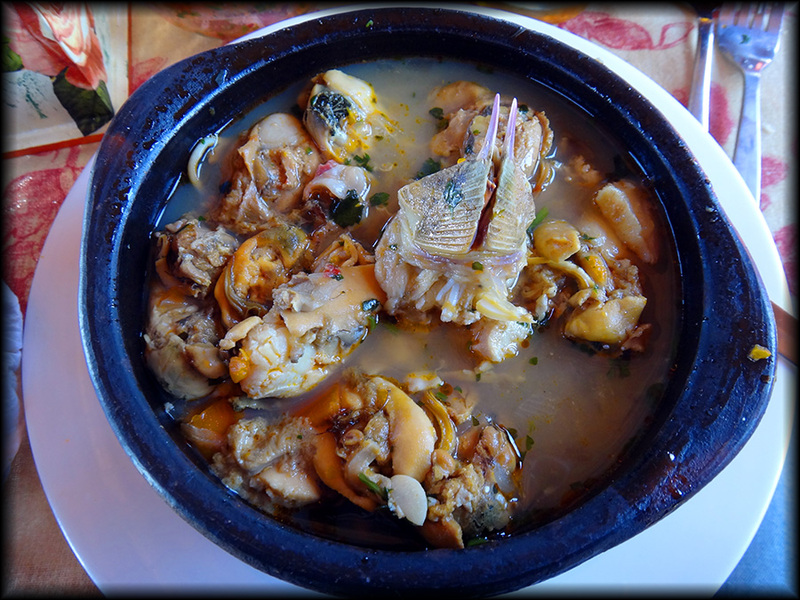 Unfortunately, the mussels and seafood soup I ordered were close to inedible. Abe was kind enough to share his crab and salad with me and have a crack at my dish. Once again, Chile still hasn’t figured out how to make good food. 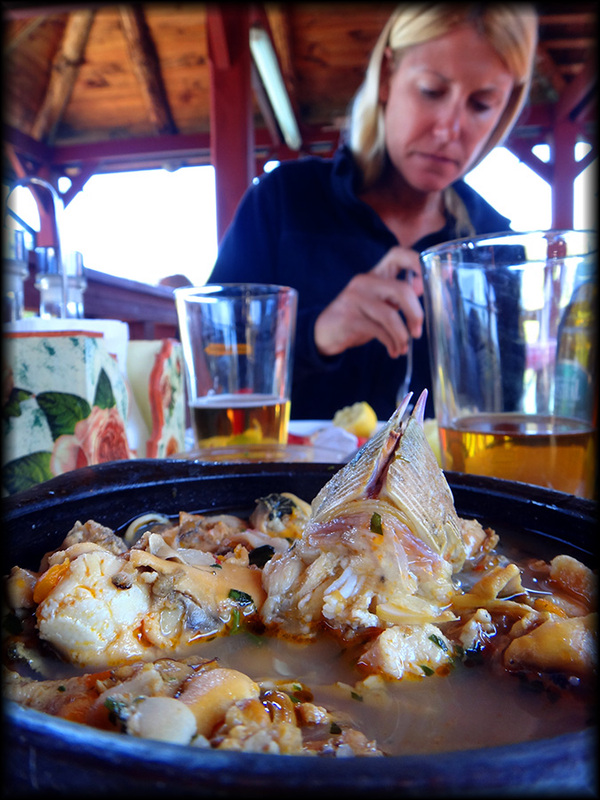 But the experience of eating outside on the water as we watched the next group of travellers depart for their 4 day Navimag journey down to Puerto Natales made for a nice midday stop. Still exhausted, we found a nice park on the way back and slept for the entire afternoon. As our bus departure time got closer, we walked back up the hill to the hostel we had left half our luggage at 2 weeks before. The owners of the hostel barely recognized us and when they tried to open the closet they had put our luggage and Abe’s surfboards in, the correct key was no where to be found. After about 30-40 minutes of searching, they eventually just broke the pad lock and gave us our belongings. Shaking our heads with laughter, we rolled our bags back down the hill to the bus station. There were no available seats inside the station, so we dropped our luggage out back and sat on a small retaining wall overlooking the ocean. That terrible seafood soup was still haunting my taste buds, so I grabbed our favorite Patagonia lunch item… a hot dog completo. After I returned, Abe left me to get the rest of our luggage that we had left in the morning. Meanwhile, I watched people come and go and noticed a small child leaning over the cliff side retaining wall. I searched around for his parents, but they were nowhere to be seen. At the same moment I heard a large crash and people started to run inside. I couldn’t leave the luggage to check out the commotion, so I just continued to watch the little boy. Just as the commotion died down, a man came out yelling a name. This had to be his father. And sure enough, he ran over and scooped the young boy up. I watched as he walked from couple to couple, slowing realizing that he was begging for money. I tried to play the ‘no entiendo’ (aka: I don’t understand) card, but he spoke a little English and eventually, I had to say ‘no’ with more authority in my voice. Abe finally came back and we shared our recent experiences. A man inside forgot to get something out of his luggage and wanted to just quickly see his bag. The attendant told him he would have to pay again if he removed the luggage from the kiosk. The man became irate and kicked the glass kiosk door shattering it all the over the ground. 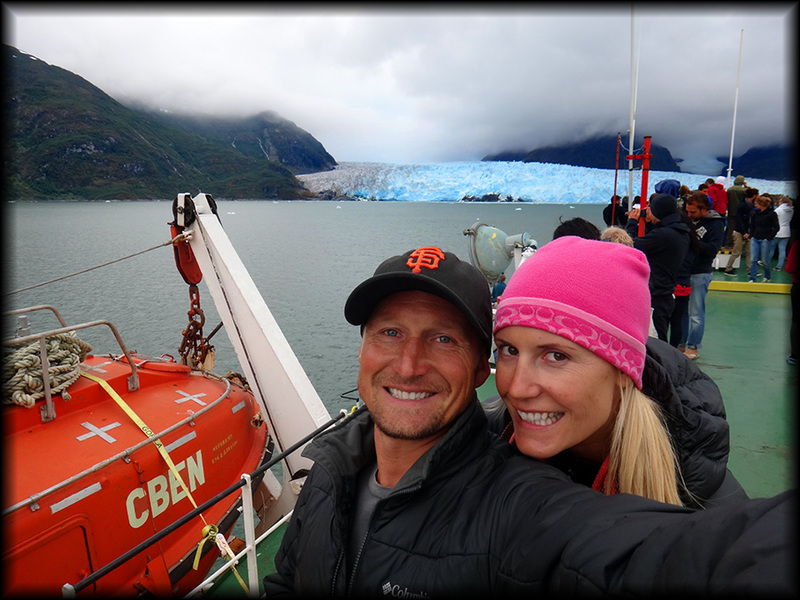 That pretty much rounded out our Patagonia adventure! 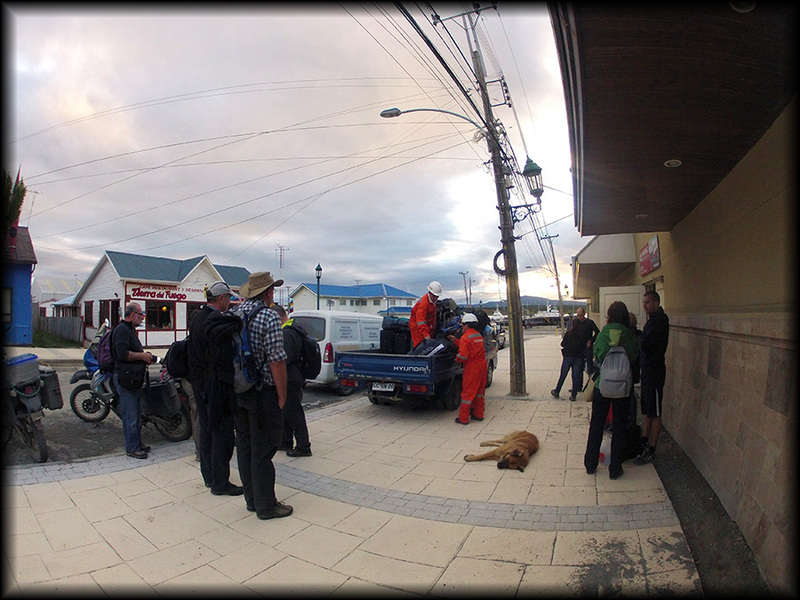 We were happy to be leaving Puerto Montt as we were headed back to the coast for a little surfing and sunshine in the small town of Picchilemu. 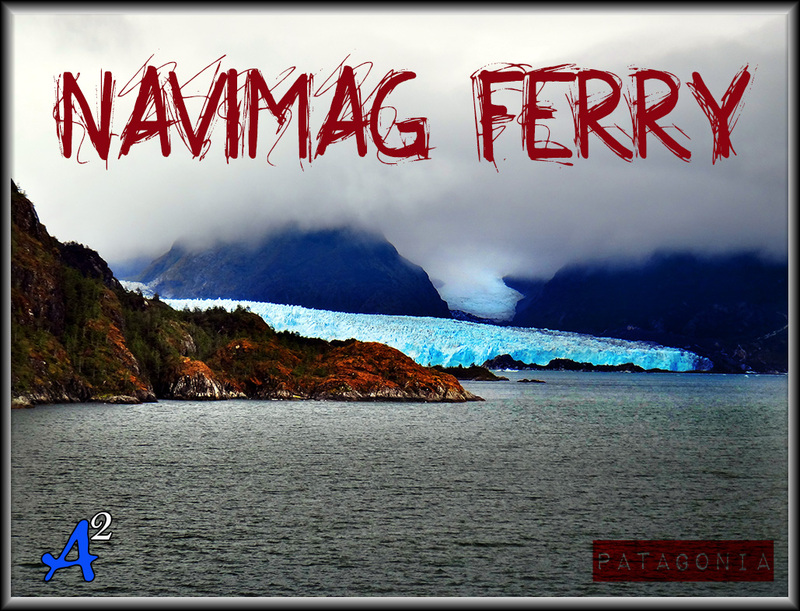 2 Responses to "NAVIMAG FERRY PATAGONIA"